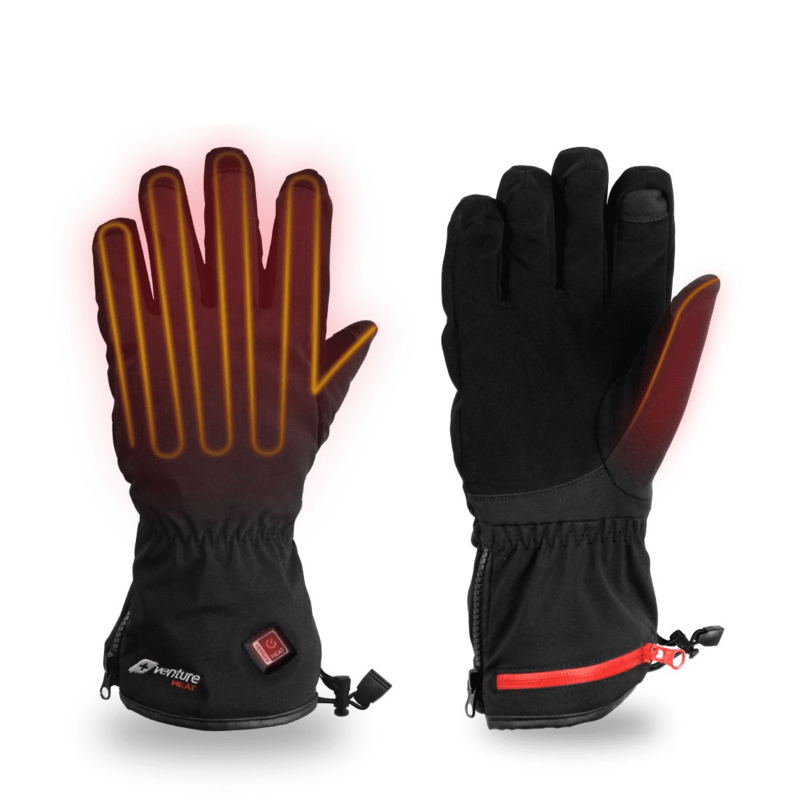 Venture Heat Heated Gloves allow you to get through the winter in comfort and eliminate cold hands. 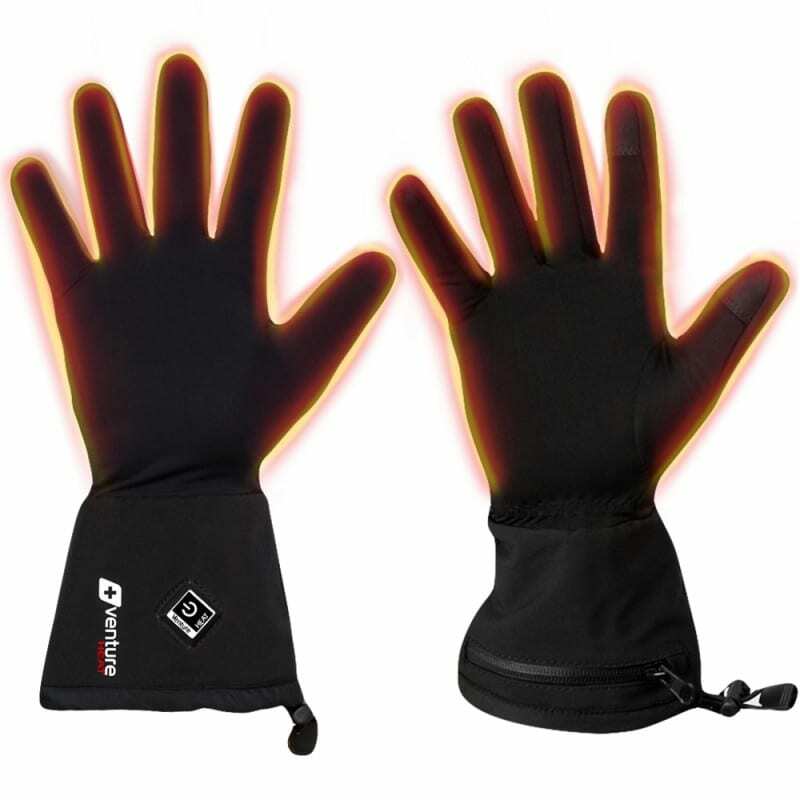 They are used by people who ski, motorcycle, have Raynaud’s issues, cycle, paraglide, play golf on those cold mornings, camp, pain relief, love outdoor activity or just simply want to have warm hands in everyday life. Once your hands get below temperature on a normal glove they can’t typically bring themselves back up to normal warmth because the body relies on its self to do so. A heater in your gloves can fix this. 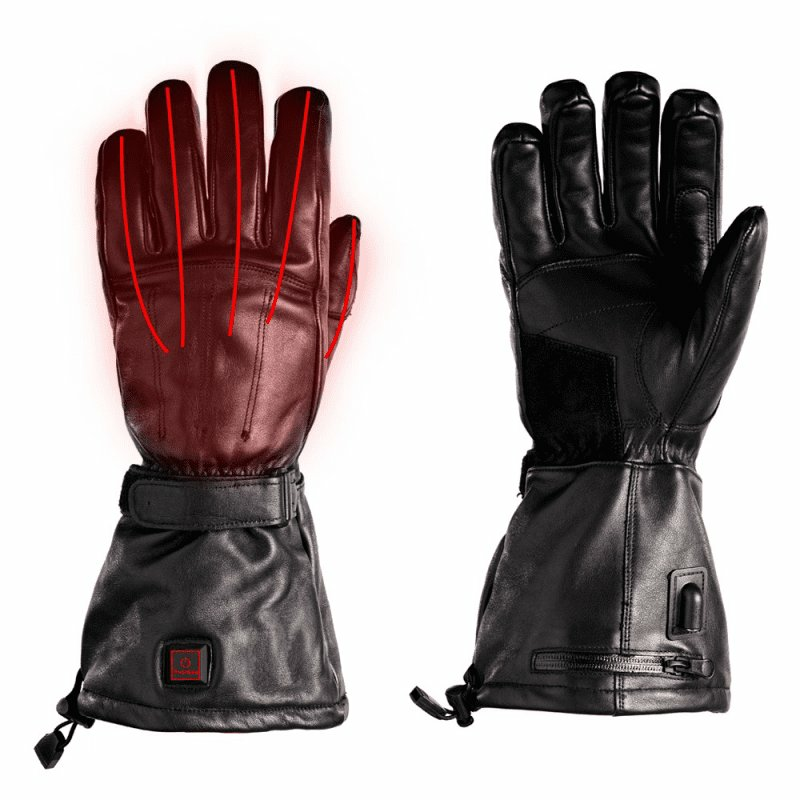 All Venture heated gloves have built-in controllers with 3 settings. The non-linear gloves also have a Dintex windproof/waterproof liner in them that really works. Some gloves claim to be waterproof but are not, so if any moisture in a Venture Heat glove it has come from running down the arm as it doesn’t penetrate the glove. The weatherproof liner is extra important in a heated glove as it keeps the wind out and traps the heat in to get the most out of the heating element. They also have a layer of Thinsulate through them to absorb the warmth. All our gloves come with everything you need to get you started. Battery Heated Glove Liners – These glove liners are designed to go inside your favorite gloves. They rely on your existing glove to help trap the heat in. They are powered by lithium batteries that sit in the cuff of Ventures glove liners and come included with charger. temperature times can vary from 2-6 hours depending on the setting. These are used for every application. 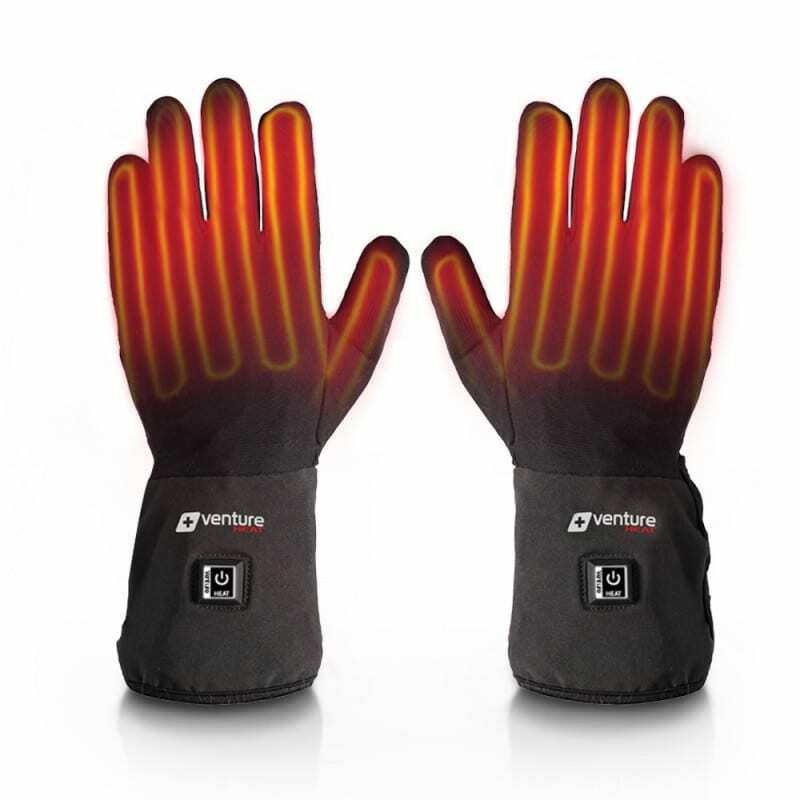 Alt Battery Heated Gloves– These gloves are designed by Venture Heat as multi-purpose gloves. They are very popular with motorcyclist, skiers, cyclists, people going overseas and other outdoor activities. 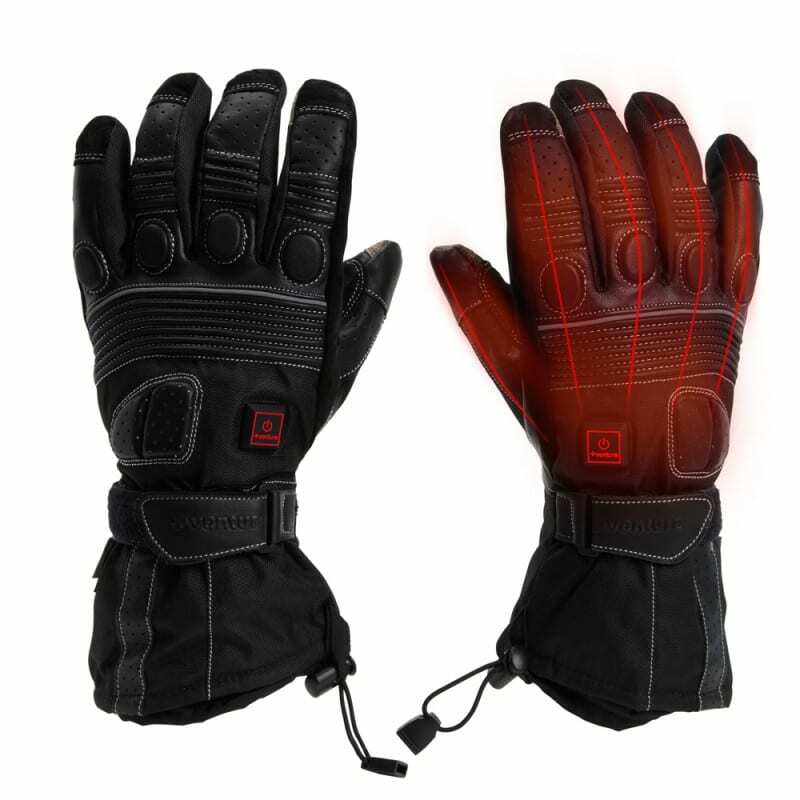 They are the new, lighter weight version of the Epic 2.0 Heated Glove with improved battery system. They come with two BX-26 batteries and charger, that sit in the cuff of the glove, which lasts 2-6 hours depending on the setting. OHM Battery Heated Mittens – Venture OHM mitts are very much a version of the Alt gloves without the fingers. They have the same heating and battery system. They are popular with skiers and snowboards, passengers on motorcycles and early morning golfers to keep their hands warm between shots. Note: The below gloves can also run off Ventures 12V Rechargeable Battery by plugging the Y-Splitter cables into the battery to have portable heat. You can find them here. 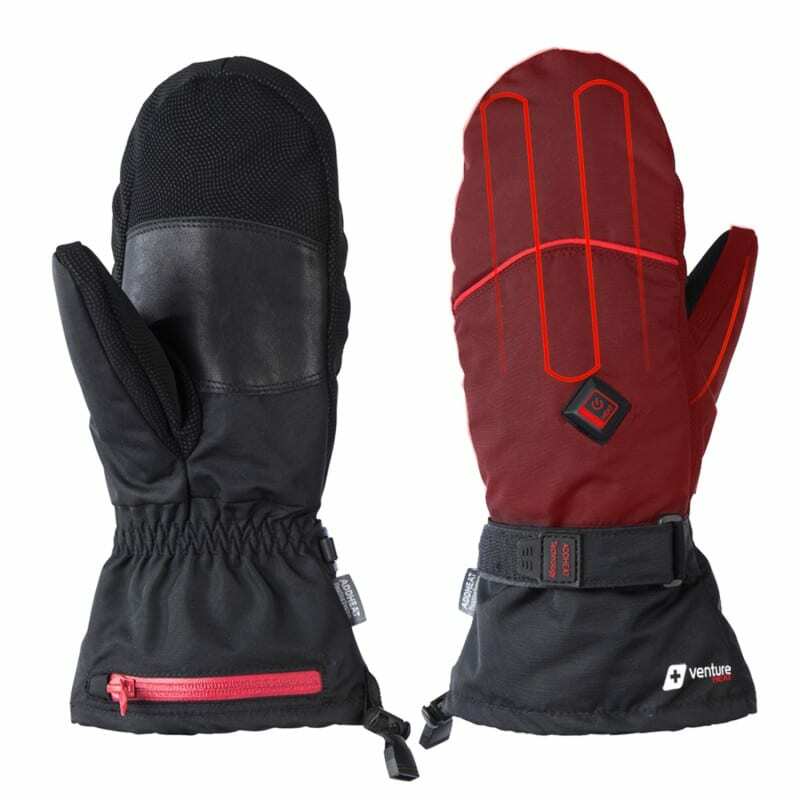 Heated Motorcycle Glove Liners – These are also designed to go inside your favorite gloves. They rely on your existing glove to help trap the heat in. These come with a battery harness and Y-splitter cables included to run directly off your bikes battery for endless heat. 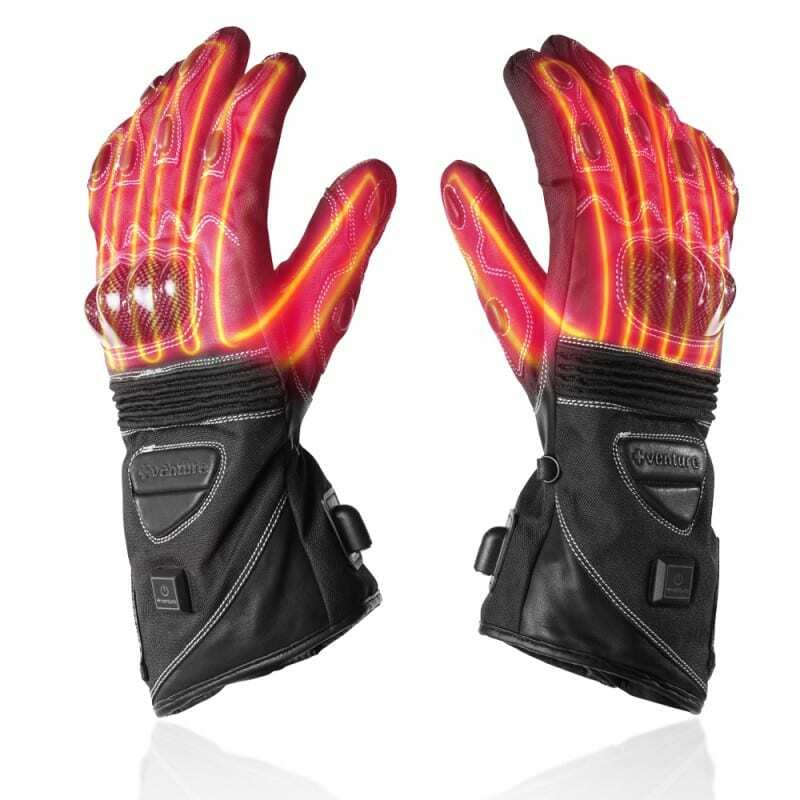 12V Heated Motorcycling Touring – The Touring gloves run off your motorcycles existing battery with wiring included. Like all our 12V gloves they have the ability to plug directly into the Venture Heated Jacket liner to remove wiring. They give you endless heat. Browse our range below and get fast & Free delivery on all orders over $100. Alloy fabric heating elements for flexibility and even disbursement.